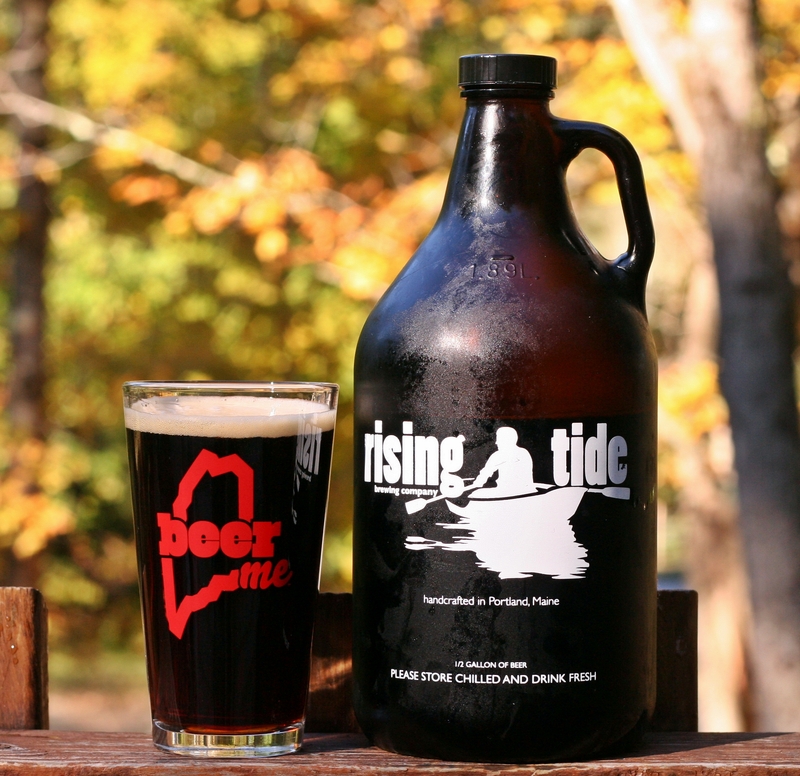 This is the first beer from Rising Tide’s seven barrel series and was supposed to be draft only (including growler fills at the brewery) however according to posts on Facebook and Twitter they are going to do another batch and bottle it! I picked this up at the brewery as we had a brunch party scheduled and a coffee beer seemed perfect. First I must let everyone know I do not drink coffee and never have, I don’t even like coffee flavored ice cream so reviewing a “coffee” beer is a bit difficult. The beer pours a deep brown almost black with a thin tan head typical of a porter. Very little visible carbonation in the beer but there is some and again what I would expect from a quality porter. Smells like a bag of coffee beans and while I do not drink coffee I do enjoy the smell. Taste has lots of coffee flavor but it does not overpower. You can still taste the underlying beer here including some nice roasted malts. Tempest is a very smooth and easy to drink porter and went well with our brunch of waffles, coffee cake, home fries, bacon and sausage. Overall this is a quality beer and while I would opt for some of the other varieties from Rising Tide if you like coffee than you will enjoy this beer. Brewers Description: Tempest is the first release from our seven barrel series. A smooth brown porter, Tempest features healthy portions of dark crystal, chocolate, and brown malts, coupled with the addition of coffee beans to the mash and cold-steeped coffee during conditioning for a rich smooth balance of malt and coffee. We are pleased to have partnered with Bard Coffee to produce this beer. Bard provided the wonderful Nicaragua Don Rodolfo Dark coffee with hints of bittersweet coffee and smoke. Learn more about Bard at bardcoffee.com, on Facebook at facebook.com/BardCoffeePortland, or on Twitter at twitter.com/bardcoffee. Tempest is available in draft only.